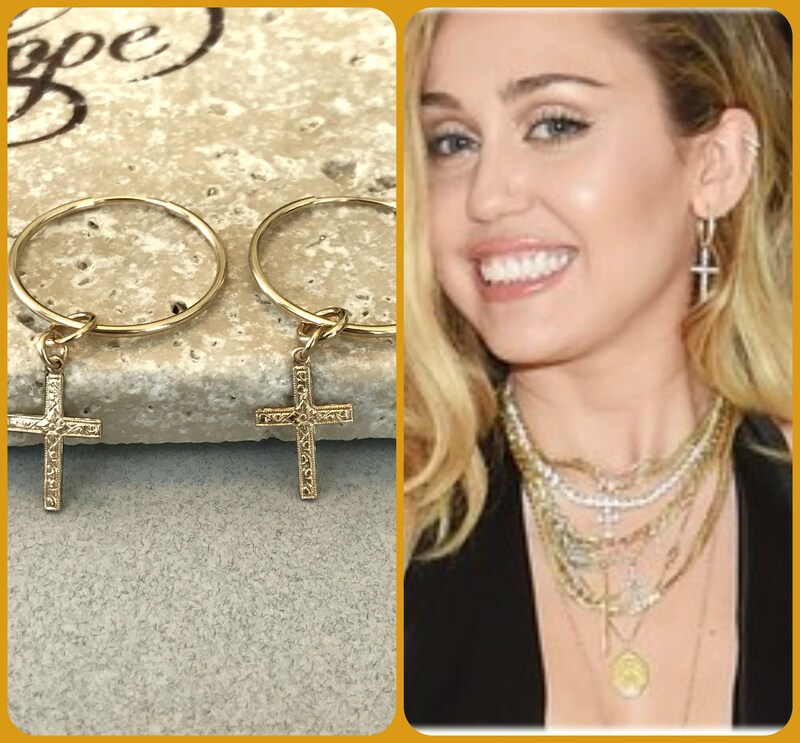 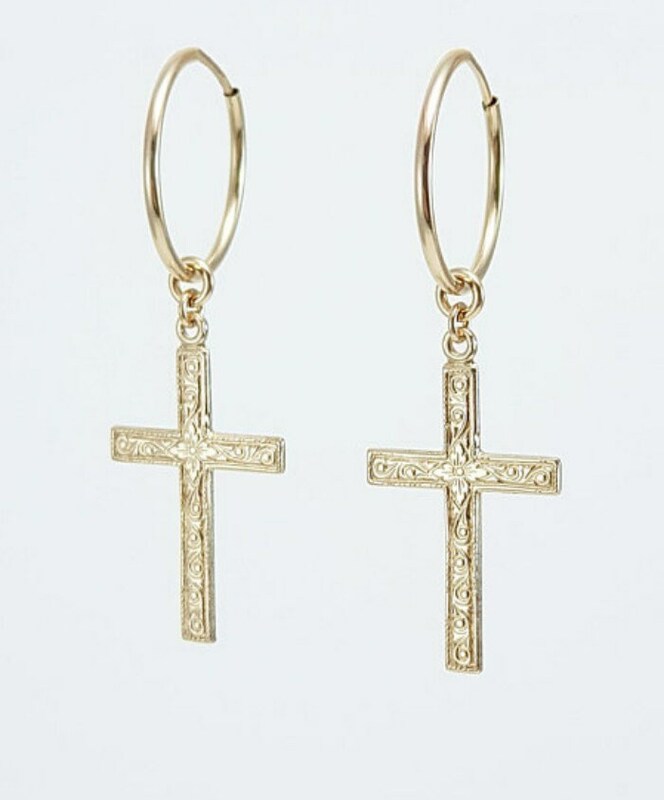 Beautifully detailed 14k gold filled crosses dangling from 14k gold filled endless hoop earrings. 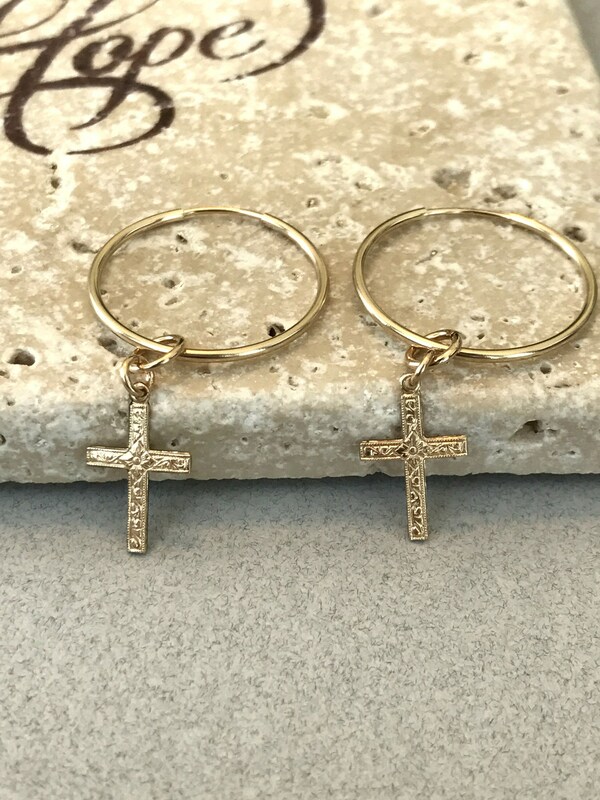 (2) 14k Gold Filled Hoops with 14k Gold Filled Detailed Crosses. 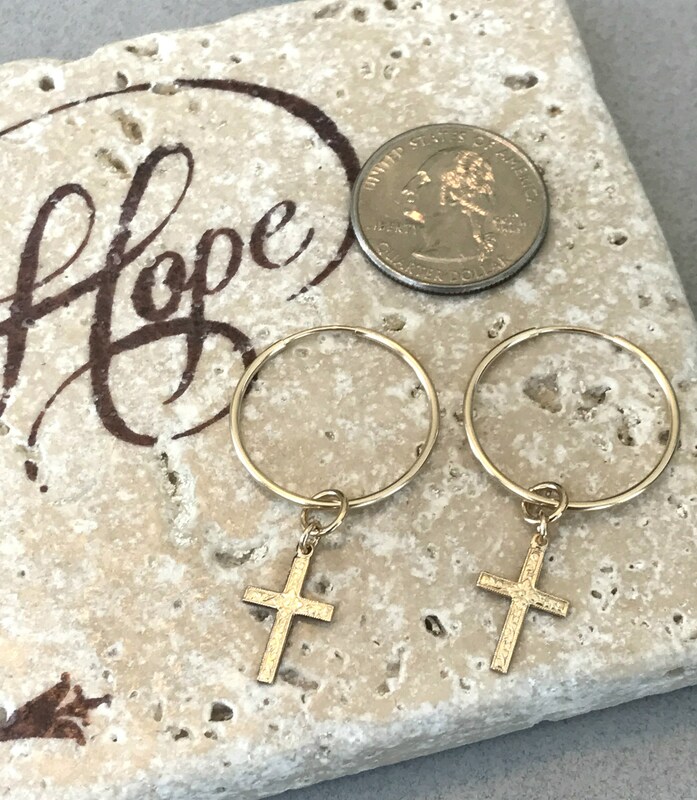 ♥ Hoop size is 24mm, which is approximately 1"